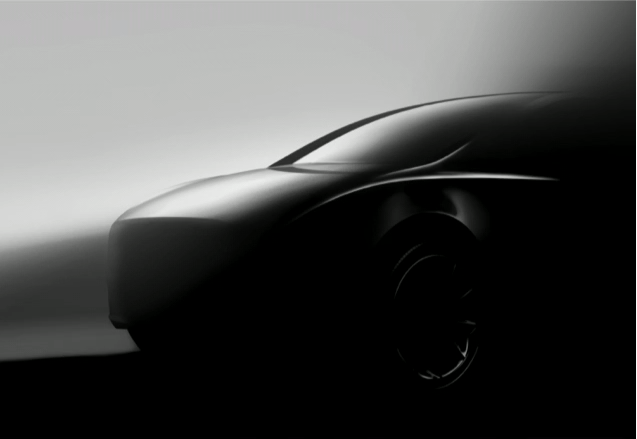 Model Y is going to be unveiled at Tesla’s Design Studio in Hawthorne, California on March 14th at 8pm PDT. Probably because they already have the S, 3, X and now Y. Kind of like his Boring company. Funny name. It shouldn’t. Been the plan all along. Except they didn’t come out in that order so kinda ****s it all up. Yeah doesn’t roll off the tongue. Oh well yeah. ****s being ****ed up was the plan before the plan. I bet you 12 year olds think that's really cool! It certainly asks an excellent question: Y? The answer probably is "Because we're getting subsidized by the government to do it." Or, "because we need to take more pre-order deposits to finish paying for the Model 3 builds". Those are winding down and the comment is stupid. They are an EV auto manufacturer. How well do you think they can compete long term with just 3 vehicles? Dumb comment is dumb. ^^^ This guy though, he gets it. They need more cash either through deposits, private placement, etc. They are doing everything they can to avoid raising capital through the markets or debt market. They also just announced that customers can now place a $200k deposit on the Semi yet that is looking to be well behind schedule as well. I'm sure there will be people who through down their money so that they can get an early reservation. The question will be how many people and the second question will be how many people put buying a mid grade - upper trim model 3 on hold and simply put a deposit down on a Y or just wait for the Y to come out? I'm very interested to see if and when Elon promises the Y will start being delivered to customers and not just manufacturing to begin. Removing the China gigafactory from the equation since that seems to be paid in full by Chinese lenders, Tesla needs to build manufacturing for Semi, Roadster, and now the Y.
I don't anticipate the next 2 years being any easier than the last 2-3. So... are they just giving the model 3 a crosstrek treatment? because supersize all the things? I hope it’s a bit more than that in the 24% difference. Supposed to be larger cabin space too. Except the Model Y unveil was announced to be in the middle of March almost a year ago. I mean, it doesn't mean they don't want/need deposits, it just wasn't rushed out after the $35k version was announced/some other reason that makes them need money right now. Unless they knew a year ago they would need more deposit money right now. You and your cash problems reminds of when you said they needed to raise capital to repaid the 920M that they just paid. With Tesla lowering the price of AP and FSD until 3/18 I see tons of people buying the upgrade on Facebook and the Forums. I wonder what impact will this have on Q1 ; I myself bought AP and I am thinking really hard about buying FSD. My prediction for the Model Y is that they will hit volume production surprisingly fast and that reservations will be less than half than they got for the Model 3. Where did you see this was announced it would happen this time last year? Every report I’m reading shows this was an unanticipated unveil / quickly announced and planned. Last Feb it was announced unveiling would take place around late spring early summer then was pushed back to March this year. Model Y was trademarked back in 2013 to be based on the Model 3.